which was a staggering increase of 57.8 percent when compared with the previous year, a steel ministry report said. and up by 13 per cent over November 2016," said the Joint Plant Committee report. Moreover, the countries rates of steel import saw a decline. 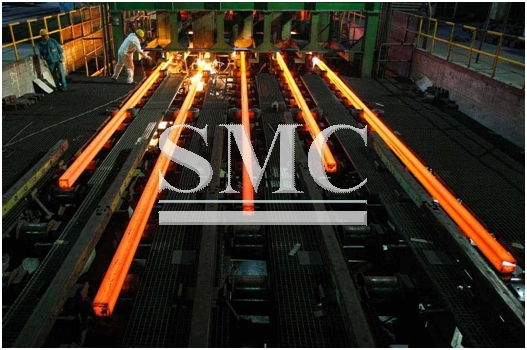 Total finished steel in the first nine months declined by 37.4 pecent to 5.495 million tones and in December, imports were down 23.2 percent to 0.761 MT. According to the report, India's consumption of total finished steel at 61.517 mt saw a growth of 3.3 per cent in April-December period in 2016-17. Consumption in December at 7.225 mt was up by 5.2 per cent over corresponding month last year and by 17.1 per cent over November in 2016.
in December was up by 12.4 per cent over December 2015 and by 11 per cent over November 2016," the report added.